If you can't tell it's a book it's because I cropped the photo into oblivion so as not to reveal my grossly-in-need-of-a-manicure thumb nail and cuticles. Yes, I'm that vain. Anyway, I love the colors in this illustration and I literally took a photo of the book and immediately began researching Alice in Wonderland Parties! Yes, I have a sickness. Unfortunately my tech skills are a bit lacking so this is the biggest I can get this image without cutting it off--however, if you click the image it will enlarge, and if you right click and select "open in a new tab," the image will be even bigger. 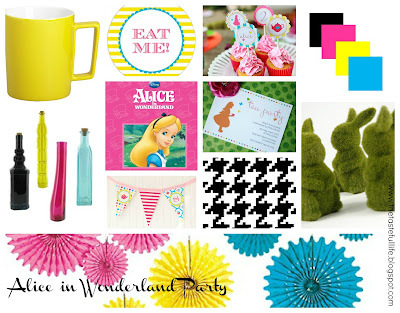 From left to right: bright yellow mugs to stack or serve, "eat me" stickers for favors, cupcake toppers, color scheme, multicolored jars for flowers or single stems, Alice in Wonderland book for decor a party favors, tea party invitation, moss rabbits for the table, custom Alice in Wonderland banner, houndstooth fabric for table runner, pink, yellow, and aqua paper fans as backdrop. 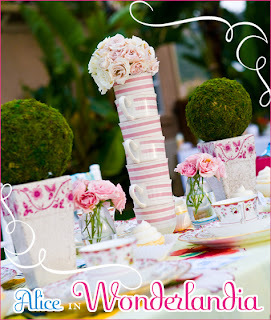 A fun, Suessical like feel featuring the girliest pink, bright yellow, aqua, and a touch of black. I envision bright floral accents in those multi colored jars above on a hot pink tablecloth, adorned with the houndstooth table runner (fabric pictured). I love the idea of adding a few moss elements to add to the garden/tea party feel. 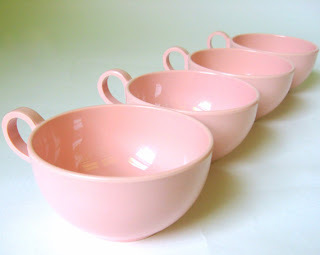 And this photo (pictured left) didn't make it into the collage but how cute would a stack of teacups be, hot glued together with flowers in the top cup? There are so many cool things you could do with this theme! Decorate with: glam black accents (easy to find during fall/Halloween season! ), keys, bright colored alarm clocks, playing cards, mismatched tea sets, cool paper lanterns, and/or bright floral accents. Serve mini sandwiches and include a tea bar filled with fruit and simple syrups...I could go on. and on. and on. But since this is just for fun and my kids are destroying my house as I type, I should stop. I have a source list for everything pictured (not including the "Alice in Wonderlandia" photo above) so if you're interested, send me a note to tiffandmeg@gmail.com or comment below and I'd be happy to send it to you! Hope you're inspired! 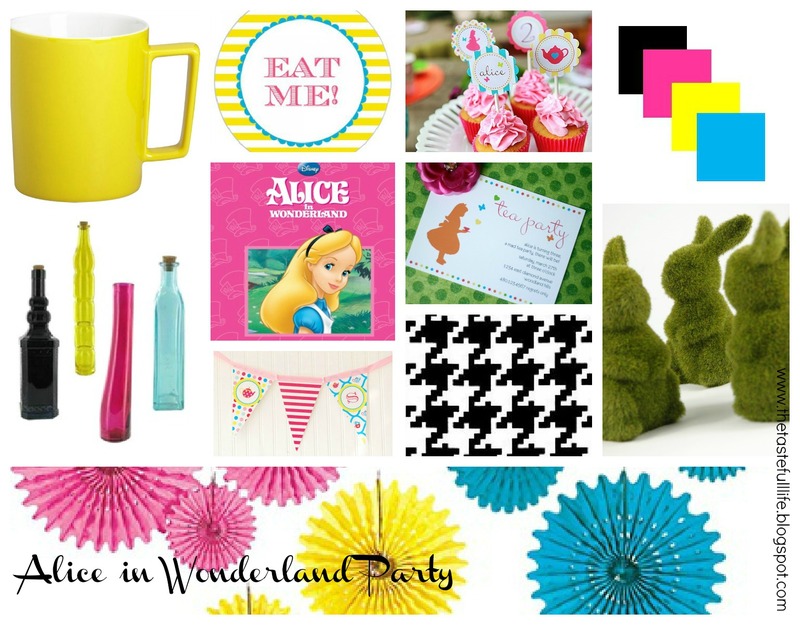 If you're throwing an Alice in Wonderland party, let me know! I'd love to see the final result! 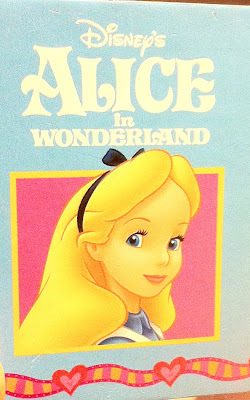 do I sense an Alice in Wonderland party coming in November for an adorable, "about to be 3 year old" girl? we just had one! It turned out fabulous!